April proceeds apace. In another April long ago, Bengalis in droves were making their way to war, to a decisive struggle that would free them of colonial rule. The place of Shwadhin Bangla Betar Kendra, Free Bengal Radio, is from such a perspective seminal in the history of Bangladesh. As the Bengali nation found itself faced with the assault of the Pakistan army at the end of March 1971, it was Shwadhin Bangla Betar which placed itself in the forefront, from a centre in Kalurghat, Chittagong, to reassure bewildered Bengalis that a War of Liberation was on. In the early hours of what would turn out to be an armed struggle for freedom, a local political leader in Chittagong, Mohammad Abdul Hannan, went on Free Bengal Radio to announce to the world the declaration of independence on behalf of Bangabandhu Sheikh Mujibur Rahman. The Father of the Nation had by then been taken into military custody by the Pakistan authorities, but Shwadhin Bangla Betar made sure that his message went out loud and clear. A day later, on 27 March 1971, it was the turn of Ziaur Rahman, a Bengali major in the Pakistan army who had by then revolted against his force, to repeat Mujib’s message on the clandestine Bengali radio. Shwadhin Bangla Betar was on its way. In the nine months of the War of Liberation which followed, it kept up a persistent and revolutionary programme of news, commentaries, war plays and songs that effectively galvanized Bengali resistance against the repression of the Pakistan army. In the weeks following the launch of Operation Searchlight, the euphemistically misleading term applied to the army’s repression of Bengalis, droves of Bengali civil servants, soldiers, policemen, artistes, writers and poets made their way to the war zone to make their contributions to the struggle. It was a struggle which Shwadhin Bangla Betar would faithfully record and present to Bengalis, 65 million of them (an additional 10 million had already crossed the frontier into neighbouring India to escape the atrocities of the Pakistan army) in internal exile in their occupied land. 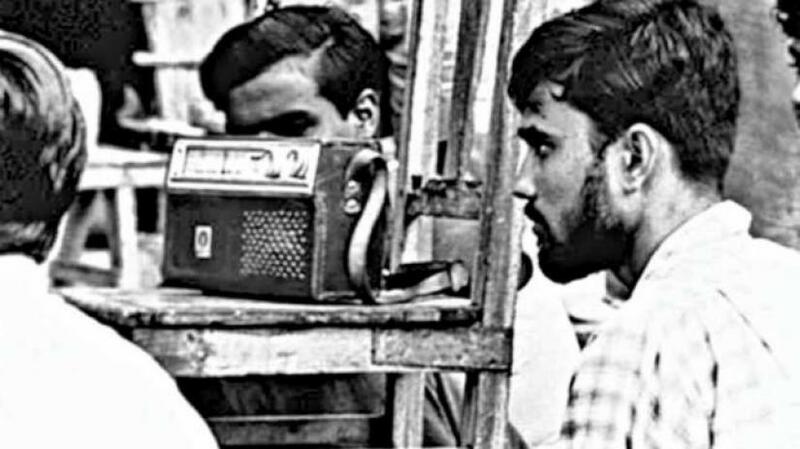 A principal feature of the programmes broadcast by Free Bengal Radio was the regularity of militant songs that certainly added richness to the struggle. Indeed, apart from such items as Chorompotro and Jallader Dorbar, music formed an integral part of the war the radio waged in defence of the struggle of 1971. The military crackdown of 25 March 1971, which quickly translated into a prolonged genocide of the Bengali people, would soon lead to a concerted effort by the Bengali nation toward an attainment of national liberation. By mid-April, the very first government in Bengali history, the Mujibnagar administration, was in place. By May of the year, after the initial role it played from Kalurghat in March, it was Shwadhin Bangla Betar that was beginning to make waves among people, both those trapped inside Bangladesh and those who had crossed the frontier to link up with the guerrilla struggle against Pakistan. Patriotic songs briskly turned out to be a fundamental premise upon which the war was being waged. Apart from the political struggle and the war waged by the Mukti Bahini on the battlefield, music served as an inspirational theme for the nation as a whole. And it was Shwadhin Bangla Betar that let that music flow into Bengali homes, into the hearts and souls of Bengalis yearning for freedom from Pakistan. Shona Shona Shona Loke Bole Shona was one of the earliest of songs broadcast by the clandestine radio station. The defining song was of course the Tagore number, Amar Shonar Bangla, which would soon be redefined as the emerging country's national anthem. There were other songs from Tagore which became part of the musical repertoire of the Bangladesh movement. Banglar Mati Banglar Jol served to reassert the pristine quality of Bengal and its historical traditions. But if it was a sense of tranquillity that Tagore injected into the struggle for liberation, the poet Kazi Nazrul Islam gave it some of the martial attributes which have generally been symbolic of desired change in society. His militant songs, notably Chal Chal Chal and Karar Oi Louho Kopat were regularly broadcast and certainly spurred the freedom movement on. Then again, there was Ei Shikol Pora Chhol Moder Ei Shikol Pora Chhol which went a long way in adding substance to the cause. All the songs that came through Shwadhin Bangla Betar made a profound impact on the Mukti Bahini; and within the occupied country they sustained hope in the idea of an eventual liberation of the land. Abdul Jabbar's Salam Salam Hajar Salam made a signal contribution to the propaganda effort. It was as much a tribute to the martyrs of the liberation war as was Sharhe Shaat Koti Manusher Aaj Ekti Naam Mujibor Mujibor Mujibor an invocation to Bangabandhu Sheikh Mujibur Rahman in the war to free the land of foreign occupiers. Jabbar paid further tribute to the incarcerated Father of the Nation through Mujib Baiya Jao Re and would, as freedom finally dawned in Bangladesh with the surrender of the Pakistan army, come forth with a grand, gentle and soft finale of a song that was Hajar Bochhor Pore Abar Eshechhi Phire/ Banglar Booke Achhi Danrhiye. A song that served as a poignant consolation to mothers who had seen their children sacrifice themselves in the crucible of war was Bhebo Na Go Maa Tomar Chhelera Hariye Giyechhe Pothe. That the struggle was destined to be hard and long was succinctly encapsulated in Apel Mahmood's Teer Hara Ei Dheu-er Shagor Parhi Dibo Re. Another Apel number, Mora Ekti Phool Ke Bachabo Bole Juddho Kori made waves through the entire course of the war. Dreams came on the wings of the songs we heard in 1971. Endless tales of heritage and culture were part of the lyrics. In the final reckoning, every song was an embodiment of a nation steadfast in refusal to yield to the immorality of force and the crudity of lies. Our songs gave us verve. They proved to be a reason to be alive in an annus horribilis that would soon translate into an annus mirabilis. The credit for such inspiration came, of course, from the unyielding and revolutionary Shwadhin Bangla Betar. 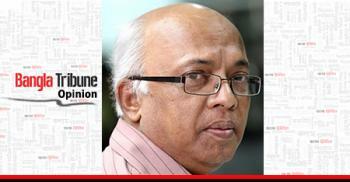 Syed Badrul Ahsan is the editor in charge at the Asian Age.